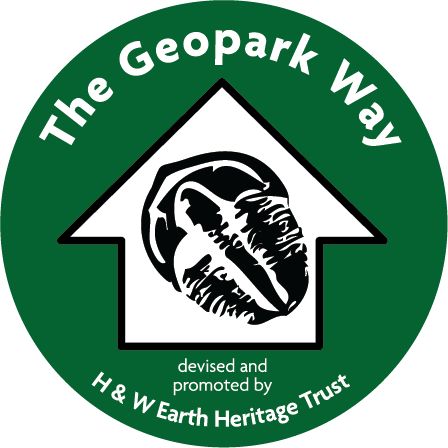 Within the Geopark the Permian is marked by the onset of the subsidence of the Worcester Basin. Thick accumulations of red sandstones and mudstones were depo sited in to the basin which experienced an arid, dry environment. Following the Permian, Triassic rocks were deposited in the space created by the continued subsistence of the fault bounded Worcester basin. Flash floods and rivers took over the previously desert landscape, giving rise to the thickness of Triassic sandstones. Near the end of the Triassic there is a marked change from the terrestrial environments that characterised Triassic deposition into shallow marine shelf environments as a global sea level rise caused the low-lying area of the Worcester Basin to be inundated by the sea. 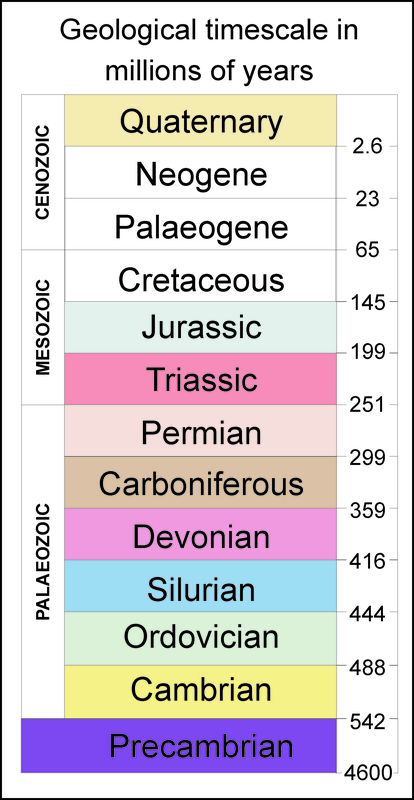 The Triassic age marks a relatively quiet time in the Earth’s geological history, with remarkable consistent climatic conditions throughout. However underlying this apparent calmness lies the fact that a massive extinction took place at the end of the Permian, marking the end of the Palaeozoic (early-life) and the beginning of Mesozoic (middle-life).The extinction event, though less well known than the end-Cretaceous dinosaur extinction, was far more devastating and resulted in wiping out around 75% of the world’s known organisms. 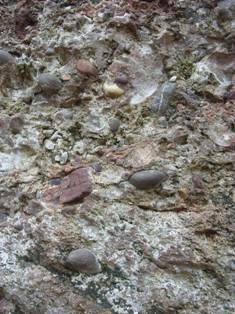 The Kidderminster formation consists of cross bedded red-brown sandstones and pebble conglomerates in a sandy matrix. The clasts are dominantly brown/purple quartzites, with occasional sandstones, limestones and other mineral clasts. The Wildmoor Sandstone Formation consists of homogenous, soft, uncemented fine-medium grained red sandstone. 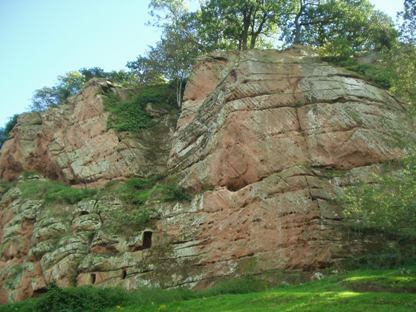 The Bromsgrove Sandstone Formation consists of a variety of sedimentary rocks from conglomerates, sandstones and mudstones. The group records the invasion of the sea onto the arid flats that marked the end of the Triassic and the beginning of the Jurrasic Period. These rocks are distinguishable from the Triassic by their grey, fossil rich nature. 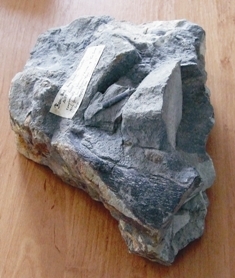 The Westbury Formation is rich in fossils, including many microfossils, bivalves, gastropods and fish. In many places, a thin laterally impersistant bone bed, the ‘Rhaetic bone bed’, occurs within the Westbury Formation. The content of the bone beds include; bones, teeth, spines and scales. These remains represent aquatic, and presumably marine, vertebrates for the most part (fish, ichthyosaurs, plesiosaurs, choristoderes), but there are some unequivocal dinosaur bones. The overlying Lilstock Formation consists of grey-green and grey marls and its upper most beds mark the boundary between the Triassic and Jurassic geological periods.